Find solutions to the problems that drive you crazy! Fixing dog behaviors is our core business. Partners Dog Training has been addressing behavioral problems since 1997 and is referred to by more industry professionals throughout Arizona than any other trainer. Our experience is unparalleled in the industry. Rest assured, if we can’t fix it, no one can. 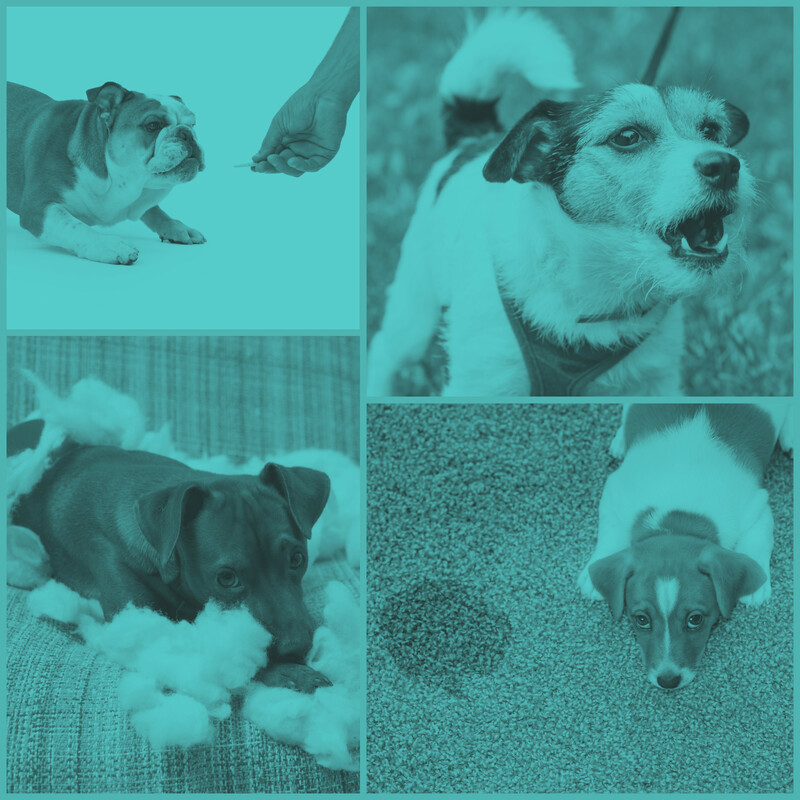 Behavior Camp addresses serious dog behavioral issues like insecurity, potty training, destructive chewing, growling, dog manners, and socialization issues. Behavior Camp fast tracks any training you desire. Everything from Advanced Obedience, to correcting bad behavior, to potty training. The Dog Behavior Camp Package includes multiple training sessions every day, socialization work, and programs customized to your dog’s needs to reach the goals you’ve set. Behavior Camp happens in three stages; Assessment, Training your dog, then Transitioning back to you. The Behavior Camp package includes follow-up Pet Parenting Classes and Private Lessons to ensure the success of you and your dog’s training. These sessions are a wealth of knowledge and a great opportunity to practice the training with your dog. They play a crucial factor on the future success of you and your dog’s training. Every dog is different. At Partners we factor in personality, breed, age, and many other variables to come up with the best training plan to reach success. The key is cooperation and transparency with us, as well as listening to our guidance moving forward. How successful the plan is is related to the level of co-operation between you and us. Behavior Camp’s strategy is built on the foundation of repetition and consistency. While staying with us, we will build a solid foundation with your dog, using positive motivation to correct the problems that have developed. However, once your pup goes home with you, it is critical that you maintain that foundation while listening to your trainer’s guidance every step of the way. Need a price qoute or have a question? Before bringing your dog into Behavior Camp, we need to do an introductory lesson and assessment. During this assessment we will determine a course of action (Training Plan). We should note that in some cases we may only be able to determine an approximate plan. This plan may have to be adjusted as time progresses. Finally, we will discuss your goals. Being realistic and consistent will result in a better solution and a happy client-trainer relationship. In Behavior Camp, your pup will have 1.5 hours of training each day with a pro trainer. Your pup may also experience socialization and supervised play groups. During the training period, we would like to see you once a week for a thirty minute demonstration session. During this time, your trainer will cover what has been happening, what we have had success with, and where we are having difficulties. The last step is your training, when we transition the training we have established in your dog, over to you. Over private lessons and 8 Pet Parenting Group Classes, we will guide you through the process of managing your dog through all types of scenarios. Most failures in training occur when clients fail to follow up on training, or fail to attend classes. With just two weeks of training, Partners turned our Rottweiler / Pit mix into a very manageable well-behaved family pet that is an absolute joy to be around. Besides the very good results we achieved with our dog, the staff and personal attention to our needs where outstanding. The level of professionalism paired with individual understanding makes for an unmatched training experience. Each dog and owner comes to them with individual issues. The trainers and staff at Partners Dog Training work with you and the dog to bring out stellar results! My fur-buddy Ubu, a year-old 65lb lab mix that rescued me while I was visiting the pound one day…took a spa trip to Partners for Behavior Camp…3 weeks later I got a new dog back. It must be a new dog because this one understands sit, down, heel, stay, and come…now, my former pound-puppy looks forward to a long, happy life. Behavior Camp is our elite training program for our top dogs. If you only want to work on basic obedience check out Training Camp. If you want to work on dog aggression check out Aggression Camp. Generally speaking, we suggest three to four weeks. However, it depends on what issues you are having, how old your dog is and how long the problems have been present. There is no way we can give a definitive answer without seeing your dog first. Most cases involve a well-established pattern of behavior. While you can teach an old dog new tricks, it takes a little longer and requires a lot of repetition. We can also start training for a week or so and evaluate where to go from there. If you don’t think you need as much training, check out Training Camp. If you want to work on dog aggression check out Aggression Camp. READY TO START Behavior CAMP! ?